March 26, 2019 Phaisit Trakulkongsmut, M.D. Dietary habits account for up to 1 in 3 of all cancer risk factors, especially with regard to colon cancer, breast cancer and pancreatic cancer. Regular over-consumption of red meat can result in chronic inflammation, which can eventually develop into colon cancer. Regular exercise, maintaining a healthy weight, giving up or avoiding smoking and drinking alcohol, practicing mental wellbeing, and attending annual health check-ups can all help to prevent against the onset of cancer. Nobody wants to develop cancer, whatever the form or stage, as this horrific disease leads to immense anxiety for the sufferer as well as those close to them. Cancer treatments can seem never ending, and be not just physically but mentally straining so it’s most definitely better to prevent cancer from ever happening to us in the best way we can. 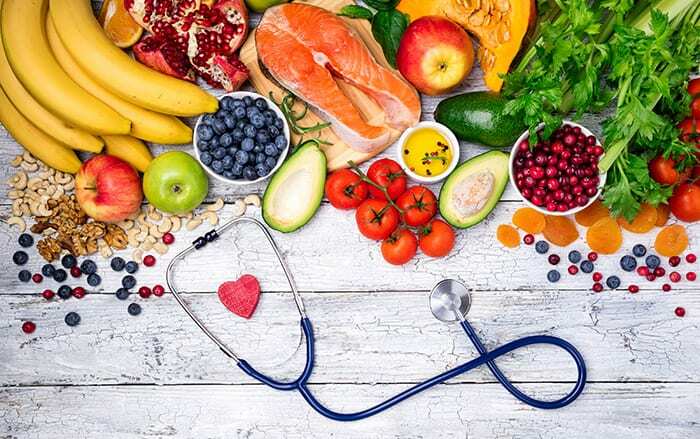 Research has found that dietary habits account for up to 1 in 3 of all cancer risk factors, especially with regard to colon cancer, breast cancer and pancreatic cancer. Thus, understanding more about healthy diet choices and proper eating habits can play a huge role in protecting against cancer. Eating the same things over and over again could mean that we are not getting the nutrients that our bodies require to function properly. However, if we maintain a varied, balanced diet consisting of the 5 main food groups in moderation, it will promote good health, strengthen our immune systems, and redress any bodily imbalances. Red means they are full of lycopene. Tomatoes, red chilies, beetroot and red apples are all high in this useful chemical. Yellow and orange means they are full of vitamin A and beta carotene. Pumpkin, carrot and oranges are all high in these nutrients. Green means they are full of alpha carotene and chlorophyll. Spinach, kale and broccoli all contain these nutrients in large amounts. Purple means they contain anthocyanin. Purple cabbage, blueberries, butterfly pea flower, prunes and black sticky rice are all full of this substance. White means they are full of xanthone. Garlic, banana, ginger, cauliflower, radish and various types of mushroom are all high in xanthone. Unprocessed whole grains and many types of nuts have extremely high nutritional value. They contain vitamins, minerals, fiber, protein and numerous forms of antioxidant. Recommended grains and nuts include brown rice, millet, almonds, cashew nuts, pistachios and white kidney beans. In addition to helping to regulate our blood sugar levels, the fiber contained in grains and nuts lubricates the digestive process, thereby easing symptoms of constipation, which is one of the major causes of colon cancer. As well as improving the flavor and fragrance of food, most spices also contain properties that reduce inflammation, stimulate the immune system and reduce the risk of cancer. Examples of such spices are chili, turmeric, garlic and ginger. 5. Steer clear of overly flavored foods, fatty foods and red meat. Overly flavored foods, particularly salty and pickled foods – which utilize high levels of salt in the pickling process – lead to high blood pressure. Fatty foods, such as meat with the skin still on, animal fat, butter and coconut cream cause excess weight, high blood pressure and heart disease. Regular over consumption of red meat results in chronic inflammation, which could eventually lead to colon cancer. Fish is therefore considered a much healthier source of protein for your diet. Deep fried or grilled foods: Food that has been fried in used oil or grilled to the point of being charred are especially dangerous. If you cannot avoid eating charred foods, try to first cut the charred parts off in order to reduce your intake of toxic chemicals. Even so, however, such foods should not be consumed regularly. Foods that become moldy, easily: Examples of these foods include dried chilies, garlic and peanuts. Before you eat such foods, be sure to check whether they have been stored for an extended period of time. Pickled foods, or ready-made foods that contain coloring or potassium nitrate or have undergone fumigation: These include, for instance, sausages, sour pork, pickled fish, dried snacks, or fresh-looking red meat. Rare or raw foods: Foods that are not properly cooked may contain parasites that are capable of causing chronic inflammation, which could eventually lead to cancer. In addition to “selecting” or “avoiding” certain types of foods, which can have a negative effect on our health, you should also be making behavioral modifications involving regular exercise, maintaining a healthy body weight, steering clear of smoking and alcohol consumption, as well as practicing mental wellbeing. All of these simple steps can help you protect yourself against cancer. Who Is At Risk of Colon Cancer? 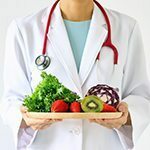 6 Secrets to Preventing Colon Cancer through your Diet Research has found that dietary habits account for up to 1 in 3 of all cancer risk factors, especially with regard to colon cancer, breast cancer and pancreatic cancer. Thus, understanding more about healthy diet choices and proper eating habits can play a huge role in protecting against cancer.